I love SuperHeroes! 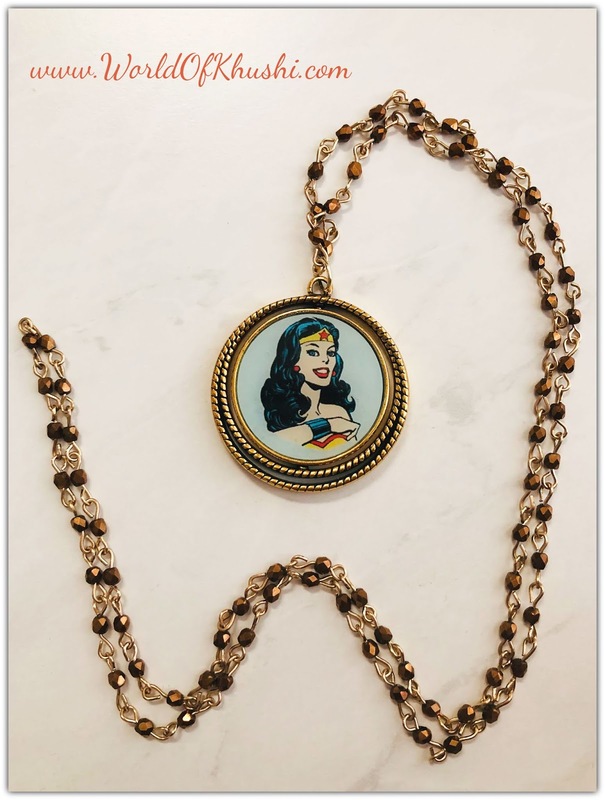 Recently I saw the double-sided Wonder Woman Pendant at Michaels Store and decided to make my own Wonder Woman Necklace. 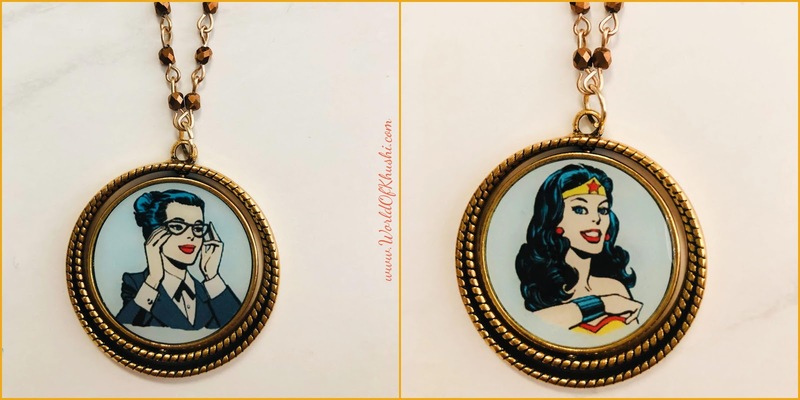 The thing which I absolutely love about DIY Jewelry is that you can customize it according to your taste, so its gonna be custom made just for you and no one will have the same piece. This is one of the easiest DIY Jewelry I ever shared, which only gonna take your 2 minutes to make and it's so simple that anyone can make it! Let's begin!! Step 1. Open Jump Ring with the help of Pliers. Step 2. Take one end of the Beaded Chain and insert into Jump Ring. Step 3. Now on the same Jump Ring, add the Pendant. Step 4. At the end (on the same Jump Ring) insert the other end of the Beaded Chain. Step 5. Close the Jump Ring with the help of Pliers. Your very own Wonder Woman Necklace is ready! - I am using Golden Beaded Chain to match the pendant, you can choose any of your favorites colors. - You can even use the Plain Chain too with this pendant, although I think Beaded Chain looks more fancy and stylish. Definitely give this Necklace a try, just be Creative! This looks super stylish and takes 2 minutes to make. Don't forget to share your pictures with me. If you are a fan of Choker Necklace checkout some of my DIY Chokers too.